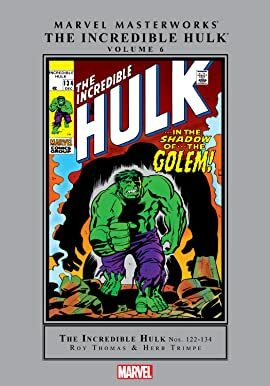 Collects Incredible Hulk (1968) #122-134. It's time to Hulk out! 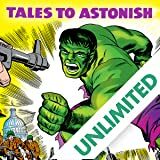 Roy Thomas and the man who made ol' Purple Pants his mission for nearly 100 issues, Herb Trimpe, bring you a stack of INCREDIBLE HULK classics that'll leave you feeling green and liking it. It starts off the way it should - with a fight. 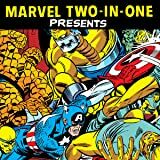 The Hulk and the Thing go mano-a-mano once more to prove which one is the strongest force in the Marvel Universe! 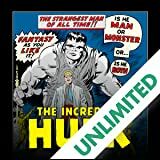 Then, with Reed Richards' help, the man inside the monster is freed - allowing Bruce Banner to at long last step up to the wedding altar with the lovely Betty Ross. But when the Leader returns with the Rhino at his side, happily ever after is the last thing he has in mind. 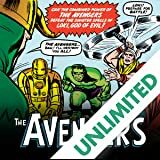 Also featuring an earth-shaking battle between the Hulk and the Avengers, the Absorbing Man, a team-up with Dr. 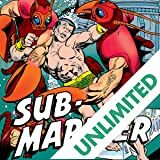 Strange, the return of the swamp-born Glob, the unbelievable separation of Banner and the Hulk into separate beings, the hordes of Hydra, and a green-powered drive to overthrow the cruel dictator Draxon.